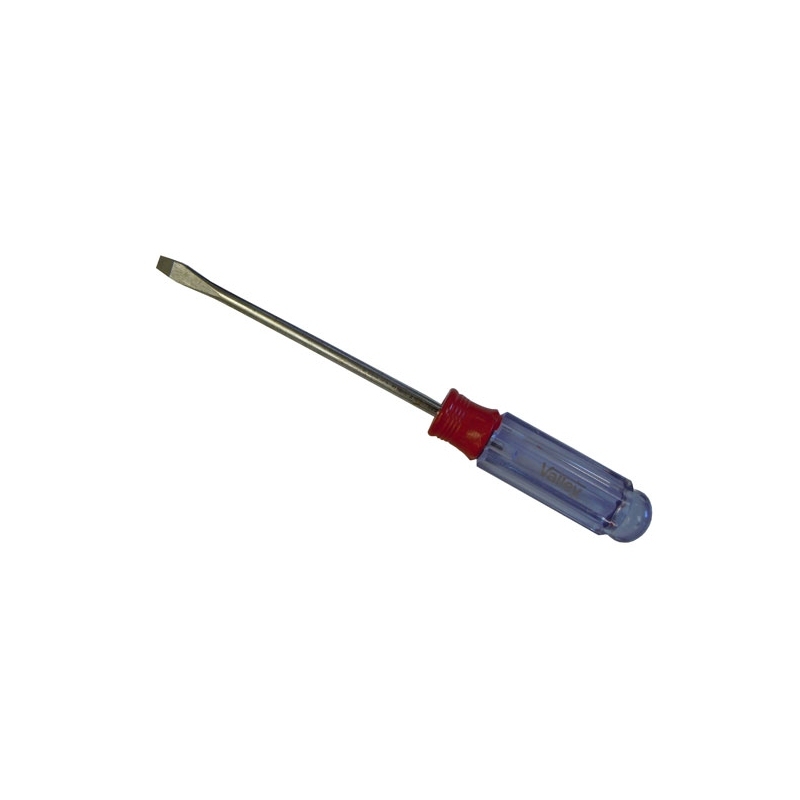 An inexpensive slotted (flathead) screwdriver for use with Robosource.net Aluminum Screws. 5" blade length and 1/4" tip width. 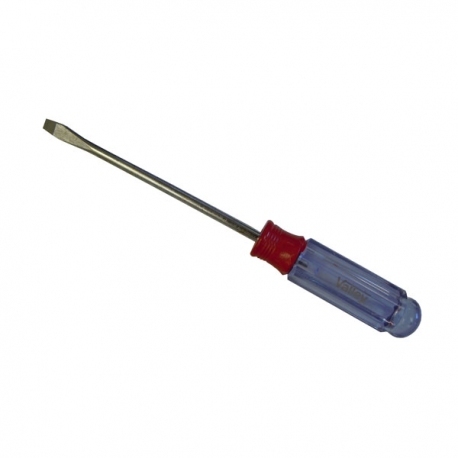 Features hardened and tempered CR-V steel shaft, machined tip, clear acetate handle, and chrome finish.